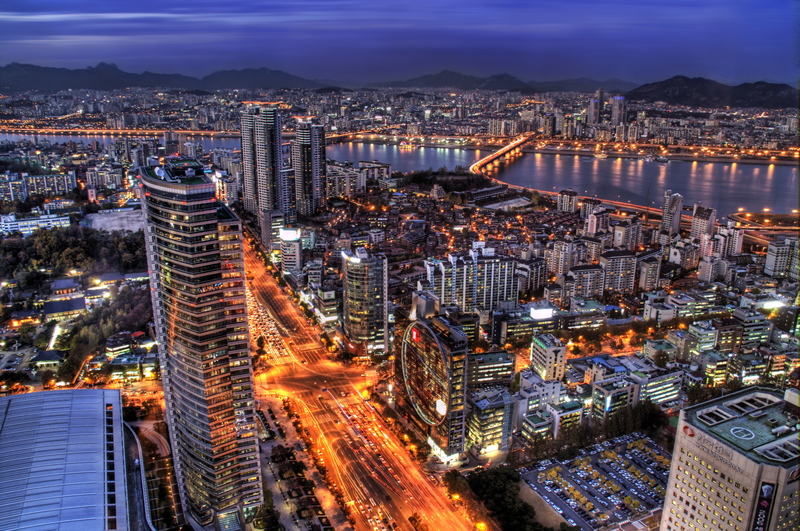 South Korea is one of the least known yet most interesting countries in all of Asia, from a tourist point of view. While most people simply think of it as the ‘better half’ of its hermit sibling, intrepid travelers know that if you wish to discover an enticing culture and a country so varied as to make your head spin, then you could not pick a better holiday destination. Small, compact, centrally located and boasting a phenomenal amount of attractions, this gem of a nation is an absolute breeze to explore, thanks to ultra-modern infrastructure and incredibly friendly locals who will go above and beyond to ensure foreign tourists have an unforgettable time. 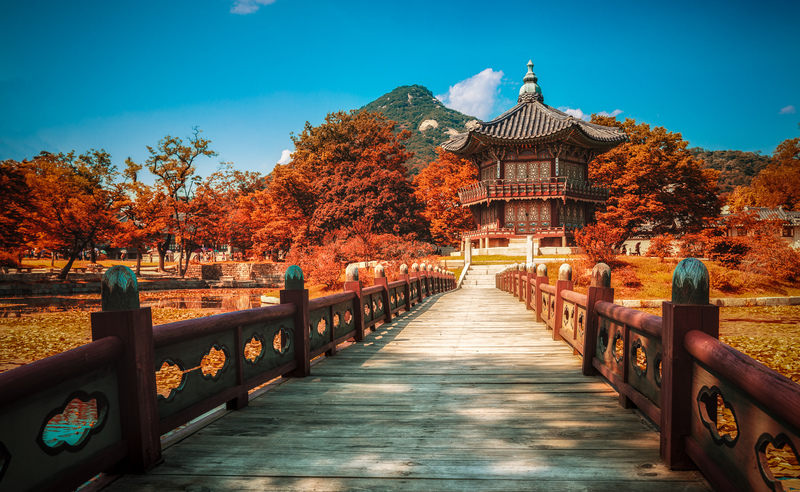 When it comes to ticking boxes, South Korea’s got you covered: it boasts amazing nature, fantastic cities, enticing history, hospitable English-speaking locals and, in our humble opinion, the best cuisine in the whole Asian region. Think it a stretch? South Korea boasts a very colorful and intriguing history, with complex civilizations on this peninsula dating back at least 5,000 years. Being precariously positioned, however, meant that it was influenced, and several times invaded, by neighboring countries. It fell victim to several Chinese dynasties and valiantly defeated many more. Korea’s most famous kingdoms was that of Joseon , which ruled the nation for five centuries and was one of history’s longest running dynasties. Modern-day South-Korea could be said to have originated from Japanese invasion which lasted for 35 years, from 1910 right up until Japan was defeated by the Allies in World War II . It was at this pivotal point that the once united kingdom was split in two, with the northern communist half ruled by the USSR and the capital southern half overseen by the USA. Back in 1948, no-one could have imagined just how beneficial this forced separation would turn out to be, at least for the nether region. The on-going northern threat of communism is what spurred the USA into literally throwing money at the newly establish South-Korean nation, and it is somewhat fair to say that here you have a country whose modern economy is based purely on foreign aid. When the North declared war on the South, the UN unilaterally came in aid and support of South Korea and, considering the war never technically ended, it could be said that neither did the support. Yet it should be noted that there are countless other countries the world over who have received incredible amounts of funds from both the USA and the UN, yet none have been able to capitalize on this quite like South Korea. This phenomenal country may have received a golden hand to get up off the floor, but everything it did from then on, it did of its own accord. And now, it would seem, every one of its 51.3 million inhabitants is reaping the ripened rewards. All of this belies a worrying truth, however, and that is a constant threat from North Korea. Although threats and stressful stand-offs have yet to turn nasty between the two Korea's, this is an endlessly tense situation nonetheless. The effect of the constant fear of war, on the local population, is almost impossible to surmise, or comprehend. Here are the most popular popular destinations in the country. The epitome city of contrasts, the South Korean capital is a head-spinning concoction of old meets new and east meets west. Frantic, chaotic, stunning, historic, traditional and modernist, Seoul is all of these things, and more. By all means use the it as a springboard to reach the country’s other treasures but do ensure you book in quite a few days to soak up the craziness that this city has to offer. You’ll have plenty of museums, Five Grand Joseon Palaces and temples to admire, a plethora of day trips to national parks to indulge in the best food variety in the country. Strange as it may seem, a guided tour of this most sensitive region is on most visitor’s must-see list. This is the most heavily armed land on earth, a 4km strip of barren earth, between two countries which are, for all intents and purposes, still at war with one another. 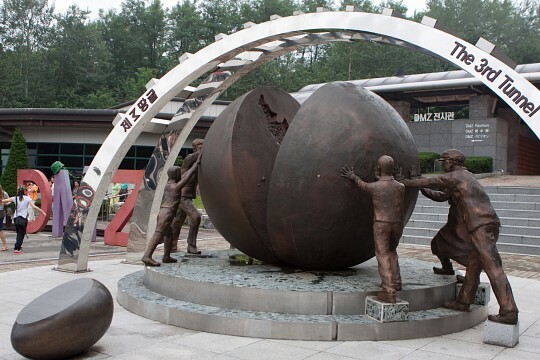 A remnant of the Cold War and very much modern symbol of power, the Korean Demilitarized Zone is both an eerie and infinitely interesting place to visit. Tours are with guided agencies only and, considering not all have permissions to all sections, do make sure you know what’s included in your chosen tour. 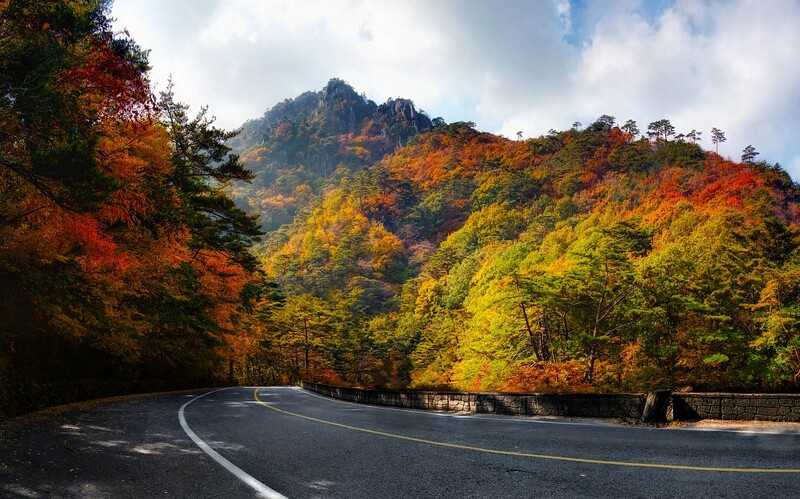 South Korea’s southern hub is a relaxed destination and ideal for lovers of beaches, national parks, arty scenes and laid back atmosphere. Not nearly as eclectic or busy as Seoul, it is perhaps revered for this precise reason. Busan offers lovely beaches, great thermal baths, beautiful temples, fab museums, opulent health spas and an abundance of nature, making it a top choice for a spot of R&R. 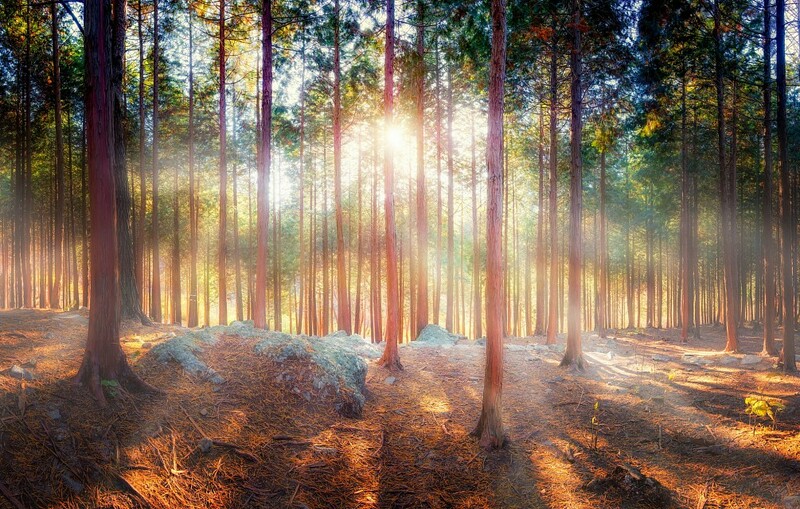 The host city of the 2014 Asian games is a busy hub of arts, culture, food and plenty of gorgeous nature. A busy port city, this is also a historically important town, and the site of the American landing during the Korean War . A great springboard to explore the stunning southern islands, Incheon is a brilliant choice if you wish to simply stay in one place, and hop back and forth between modern metropolis and idyllic escape in nature. Incheon is less than an hour away from Seoul, yet it pays to actually move base and stay here a few nights, rather than visit on a day trip form the capital. 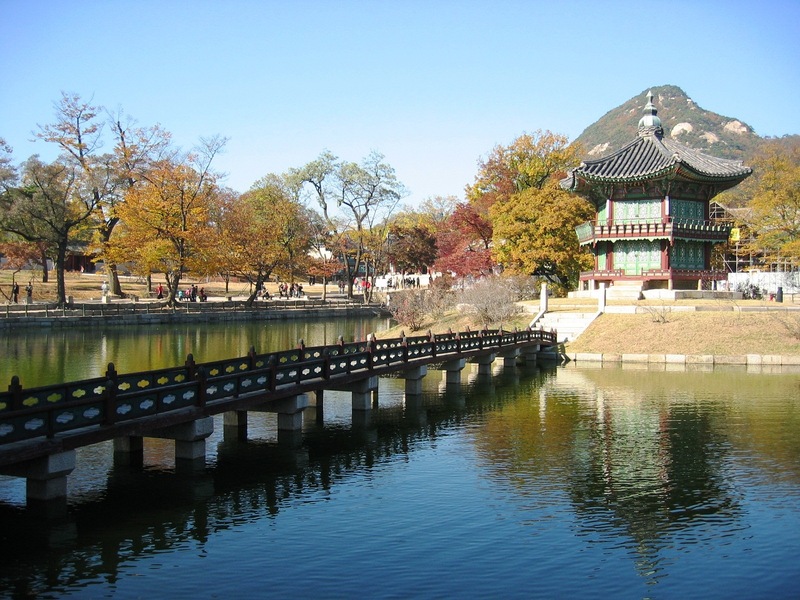 A centrally located city, Jeonju is one of the prettiest towns in Korea and one steeped in history. This was the birthplace of the Joseon Dynasty and its long-held cultural importance in the country is almost palpable. The architecture here is simply splendid, with plenty of cobble-stoned alleyways and traditional shop-houses brimming in the historic center. Best part? Jeonju has been recently listed as a UNESCO heritage site as a Creative City of Gastronomy, so if it’s the best of Korean food you’re after, then don’t miss spending a few days here. 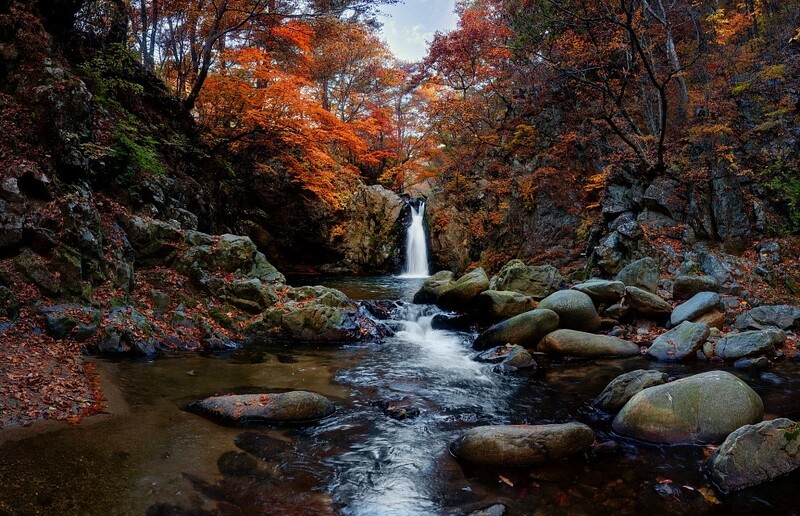 Jirisan is a hiker’s haven and regarded by many to be the best multi-day hiking destination in the country due to it being extensive and incredibly wild. Day hikes are doable and not too difficult but we do recommend you take a guide with you as there is very little information in English, on site. Plenty of temples and gorgeous guesthouses along the trails to keep you busy for days on end. 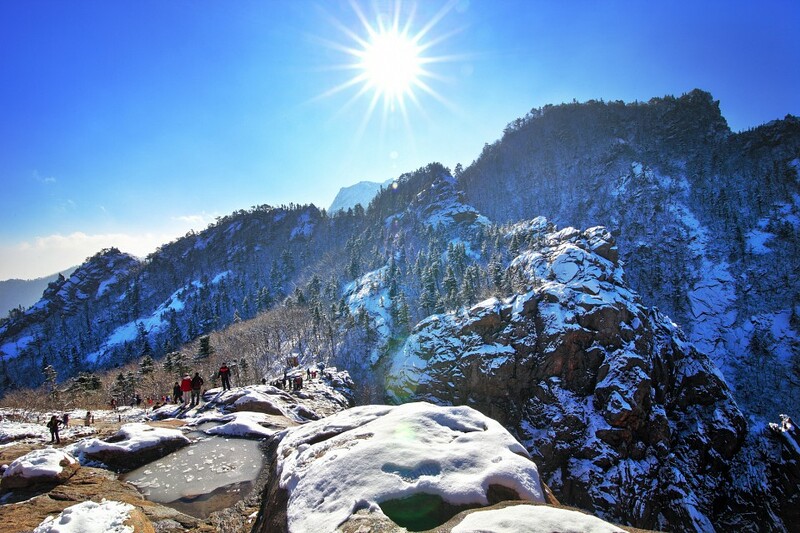 The park is home to over a dozen peaks above 1,000m and is best accessed from Busan. This UNESCO Biosphere Reserve is probably the most known to foreigners, and boasts fantastic rocky mountains and stupendous pine forests. Plenty of trails to find here, all well signposted in English. Campgrounds and guesthouses abound, with nice hotels and restaurants littered around the Visitor Centre. 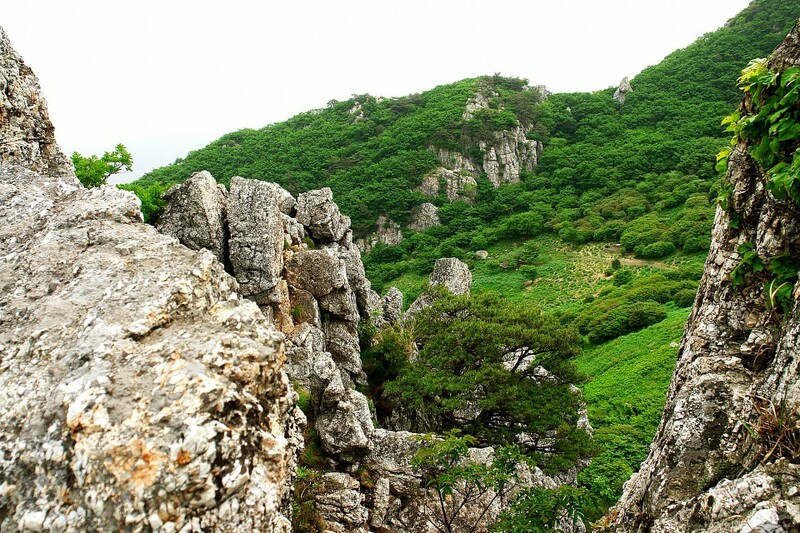 The closest city is Sokcho, but Seoraksan can be easily reached by bus from Seoul. Guides are compulsory for multi-day hikes. 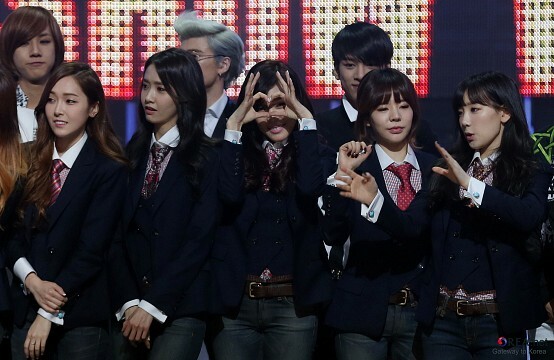 South Koreans are among the most homogeneous people you’re ever likely to meet. There are no regional distinctions made here; everyone writes and speaks the same language and in the same manner. For a foreigner, this may be a peculiar concept to grasp. Sure, this is a small country (a tad smaller than Iceland in fact), yet so is Italy, a country that boasts a near endless list of dialects and a place where those living just a few hundred kilometers apart, may not even understand each other when they speak. Highly educated and infinitely courteous, South Koreans are extremely friendly to foreigners, especially Western ones. Although tourism has played a major role in the country’s economy for the last five decades, the great majority of it has come from neighboring Asian countries. Meeting and chatting to Western tourists is still seen as an absolute privilege here, so don’t be surprised if you are accosted and invited to share a meal no matter where you are. As with most Asian cultures, should you accept, you will be treated as the revered guest you are and never made to pay for even a single round of drinks. Outside of major cities you may find it difficult to converse in English fluently, yet basic language knowledge and an eagerness to help usually makes any encounter a very successful one. Due to the country’s booming economy, there are over one million foreigners now living and doing business in South Korea. South Korea is one of the world’s most affluent countries, whose inhabitants earn more per capita than 90% of our planet’s population. 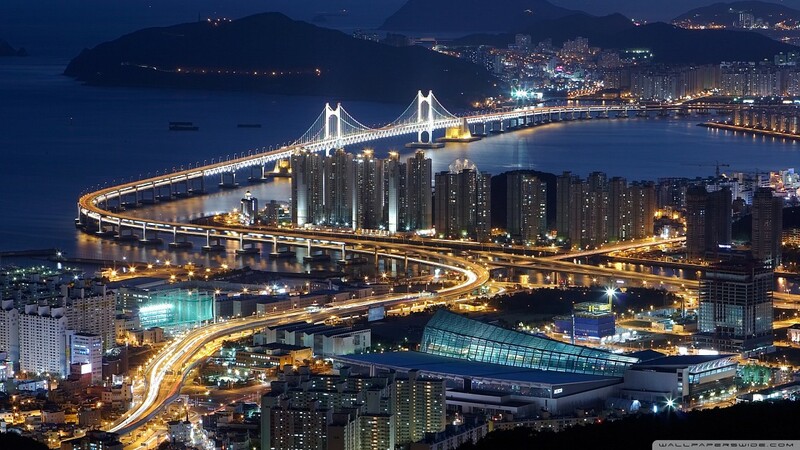 Often ranked as the world leader in infrastructure, business, standard of living, health and education, South Korea is, economically and socially speaking, a country most others would be wise to idolize. And we haven’t even mentioned technology yet! In this particular context, this is the number 1 nation for research, innovation and implementation. What this means for the tourist is that when they get here, they will be privy to the fastest internet connection they have ever had. Anywhere. Culturally, South Koreans are very proud of their heritage and quite adverse to the ongoing and long-standing influence of China, a country most locals see as a bullying big brother. Nevertheless, much of the Chinese culture has seeped through the cracks and there are quite a few aspects of local culture which have obviously been imported, even though many locals would argue that statement. Above all else, education and strong work ethics are the most revered characteristic one must uphold in South Korea, a concept very closely linked with Chinese beliefs. Although almost a quarter of the population professes to have no religious affiliation at all, they do follow what they consider ‘ancient traditions’, yet all have links to either Buddhism or Confucianism, philosophies also closely related to Chinese cultures. Yet no matter how traditional South Koreans may seem, there’s no denying that the tremendous wave of modernization of the last few decades has irrevocably changed people at the very core. The differences are colossal beyond any imagination but of course, for you to be able to see that first-hand, you’d have to find a way to get into North Korea. The division of this once most-homogenous people is, culturally speaking, quite heartbreaking, although you’ll never find a local in South Korea stating as much. With added affluence has come a swift change in lifestyle for South Koreans, with traditional family living arrangements, which used to be multi-generational, being replaced by much more common nuclear ones. Moreover, there seems to be a very drastic movement of populace, with many youngsters giving up an agricultural life for one of neon city lights. None of this is particularly unique to South Korea yet the speed at which these changes are occurring are quite phenomenal. The unsurprising influence of Western culture has also had major effects here. Ironically enough, in a country where westerners were seen as mortal enemies barely two generations ago. Fast food has been particularly embraced by young Koreans, who nowadays list pizza and hamburgers as their favourite food, way above any local dish. Coffee culture has also busted into the scene head-on (particularly in Seoul and Busan) and South Koreans are swiftly becoming some of the most prolific coffee drinkers in all of Asia. Although there are plenty of elderly Koreans who will frown at the mere thought of all these head-spinning changes, it spells great news for foreigners. 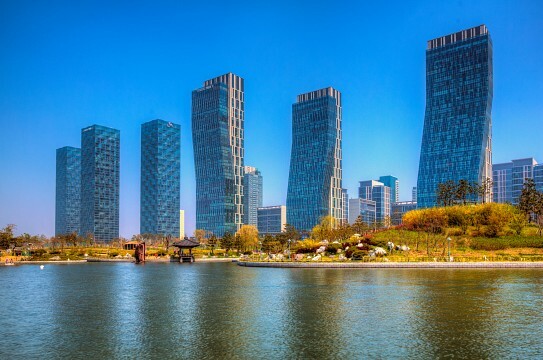 South Koreans are an open and welcoming lot and, if you have never been to this part of Asia, you’ll certainly suffer a much milder case of culture shock here than you would anywhere else. South Korean singer-songwriter Psy has a lot to answer for. The artist behind the international hit Gangnam Style single-handedly catapulted Korean-pop music into the international scene just a few years ago, although that should probably read the 'Western' scene. Korean pop, shortened to K-Pop, has had a cult-like following in Asia for decades, yet it was only through Gangnam Style that the western hemisphere finally paid notice. This was the first YouTube video in history which managed to rake in 1 billion views, which is quite the achievement considering he had the likes of Justin Bieber to compete with. Incidentally, Psy's video has now been seen over 2.3 billion times. Psy is definity not the only nor first big music name from Korean soil, other famous names are Girls' Generation, Super Junior, 2NE1, SHINee and TVXQ. K-pop incorporates various musical genres, including hip-hop, rock and RnB with much synthesized instrumental music to boot. The tunes are as catchy as they are kitschy and even though some may argue that the style is not really in tune with Western tastes, the numbers disagree. K-pop is, as Times Magazine claimed: "The greatest South Korean export to date". Food preparation would have to be, particularly for gastronomy-enthusiasts, where South Korea shines best. Strangely enough, the country with no regional distinction does, in fact, enjoy plenty of regional variety in its epicurean scene, although nowadays crowd favorites from all over the country are available just about everywhere. Like many other Asian cuisines, South Korean relies heavily on grains, vegetables and meats, yet it uniquely incorporates an abundance of small side dishes (called banchan along with every main meal of rice and meat. Kimchi is a ubiquitous part of almost every meal and, luckily, this spicy concoction of fermented vegetables is possibly the tastiest (and most addictive!) dish in the country. Although the cuisine here utilizes ingredients, spices and herbs found almost all over Asia, the unique taste combinations grant it a most distinctive aspect. Spicier and tastier than many of its neighbors, Korean soups are the official starter of any meal. Normally, you’d be offered a bowl of soup of your own, with all other dishes (rice, meat and banchan) served in larger platters, meant to be shared. Breaking bread in South Korea is an inherent part of the culture and something which locals love to share with visitors. Should you be lucky enough to be invited out for lunch or dinner (most especially for a famous Korean BBQ) a most effervescent ‘Yes, please!’ is the recommended response. Traditionally, most meals are consumed around a low table, while sitting on the floor. Stainless steel chopsticks are the norm, but cutlery will certainly be offered to foreigners out of courtesy. Koreans can be quite prolific drinkers and the country boasts some of the highest alcohol consumption in the world. Note that the legal drinking age here is 19. South Korea boasts four very distinct seasons. Spring (April-June) is a good time to visit, as cherry blossoms will be at their best and temperatures ideal for hiking. Do note that unpleasant dust storms are common at this time (originating in China) so this could cause problems for those with breathing difficulties. In Summer (July-August) temperatures can get unbearably high, so only recommended if you wish to spend most of your time on the coast. 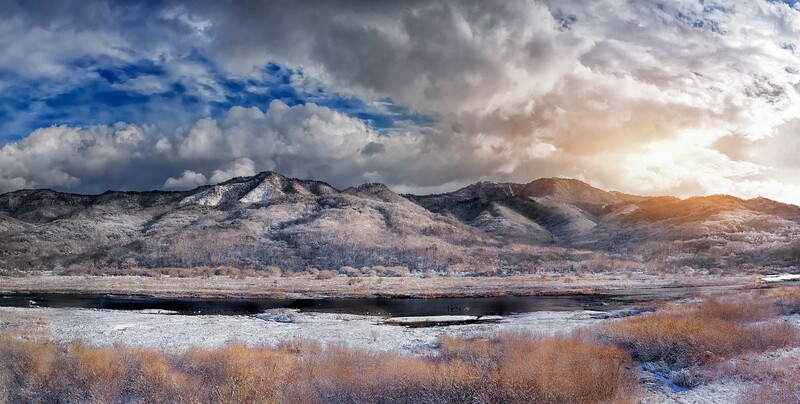 Autumn (Sept-November) is probably the best time to visit if you want to enjoy the great outdoors and admire the stunning fall colors, whilst Winter is an ideal time for skiing and thermal-bath indulging. Thanks to the super-duper infrastructure, getting around is an absolute breeze, one which is infinitely helped by the fact that distances are never really major. A French-built rail system links all major hubs, with buses filling in the gaps. Per capita, South Korea boasts the highest number of plastic surgeries in the world. Eyelid enhancement is the most favored op. 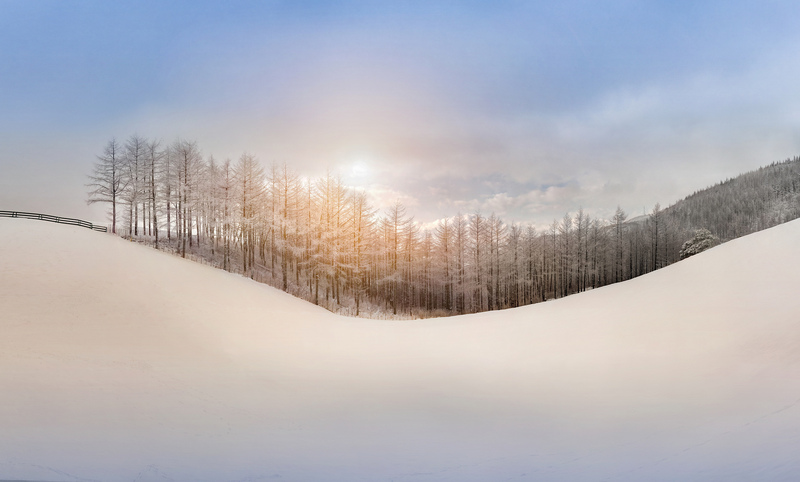 South Korea celebrates a total of 13 Valentine’s Days throughout the year. South Korean men are the world’s most prolific metrosexuals, spending more on male cosmetics than any other country. McDonalds outlets in South Korea offer home delivery, 24 hours a day. When it comes to retail therapy, South Korea gives the rest of the world a run for its money. Not only is it home to some of the largest malls on earth, but it also boasts some of the longest operating hours. Some malls are open till 4am. This country boasts a yet-to-be-explained fetish for sweet potatoes. You’ll find all sorts of food flavored with this apparently magic ingredient, including chips, ice cream, biscuits and breads. In local culture, you are 1 year old the day you are born, and 2 when you turn 1. 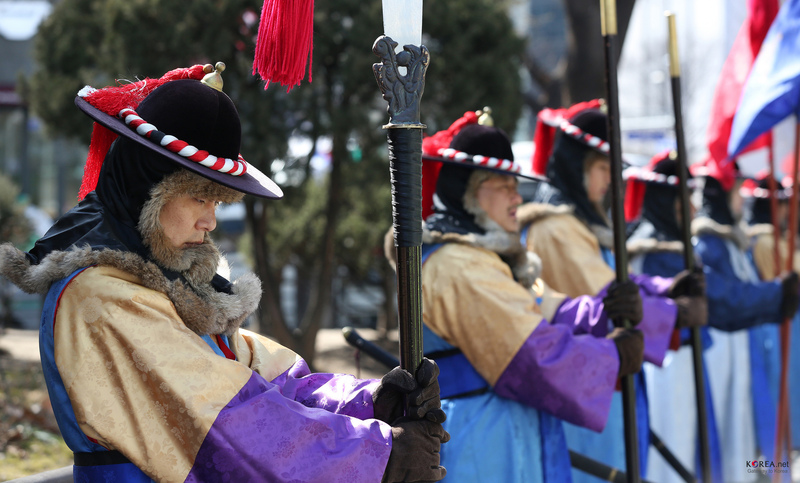 South Koreans are among the most superstitious people on earth. One of the more bizarre beliefs is that if you leave a fan running all night, the person living below you will die. Death by Fan is a real concern to locals. The Hangul language is considered one of the purest in the world, because it does not suffer fluctuations or dialects depending on region. Consequentially, South Koreans are renowned as the most connected people on the planet. 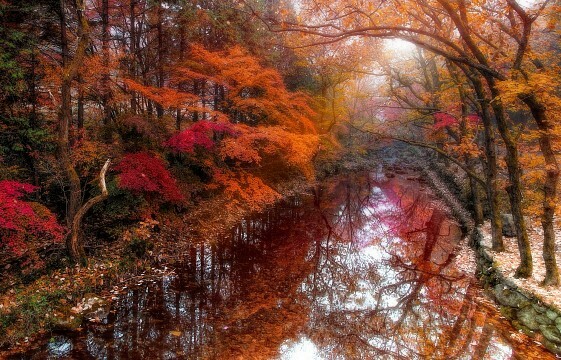 They do not make distinctions depending on where one lives.